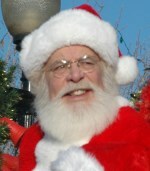 Santa Claus will be visiting several branches of the Washoe County Library until shortly before Christmas. This is a great opportunity to take the kids to see jolly old St. Nick away from the commercial temptations of a shopping mall. In addition, the library will be having other holiday-related events for families and children to enjoy during December, like free Christmas-themed movies.